We are the leading supplier and trader of all kind of radar reflectors. Tube-type Radar reflectors, with hoisting ends. Features grooves to enable it to mounted on backstay or shrouds for sailboats. Base mounting brackets for Powerboats. 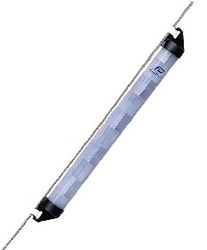 - 25586 - Length 58cms. Diameter 5cms. Weight 250g. Reflective area 2 sq. Specifications No.of Segments 6 Nos. 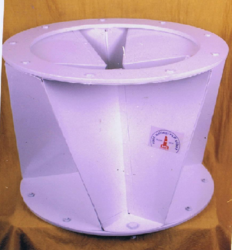 Ring Diameter 400 mm Dia Colour White Over All Height 400 mm Radar X-section(Echoing Area) 50M2 Fixings 3 Hole 10mm Dia on 360 PCD Weight 6Kgs. In order to meet excellent quality standards, we are supplying Radar Reflectors. Our reputed entity is engaged in supplying Radar Reflectors. We are engaged in offering Radar Reflectors.